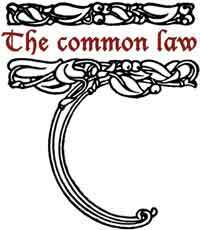 What can a return to Common Law do for a nation? Listen to Kevin Annett describe what is happening in Canada! Exciting movement forward in taking back our Planet! The Queen of England no longer rules over Canada! Canadians have declared their independence and taken back their inalienable personal and national sovereign rights! Very educational interview! Filed under: Canada, Common Law |	Comments Off on What can a return to Common Law do for a nation? While most Alberta towns cater to those who travel through on the highways or arrive on hiking trails, some Alberta communities welcome guests from the air, and I don’t mean airplanes. 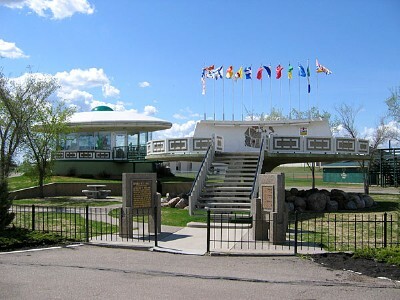 St. Paul, AB has the world’s first Flying Saucer Landing Pad. 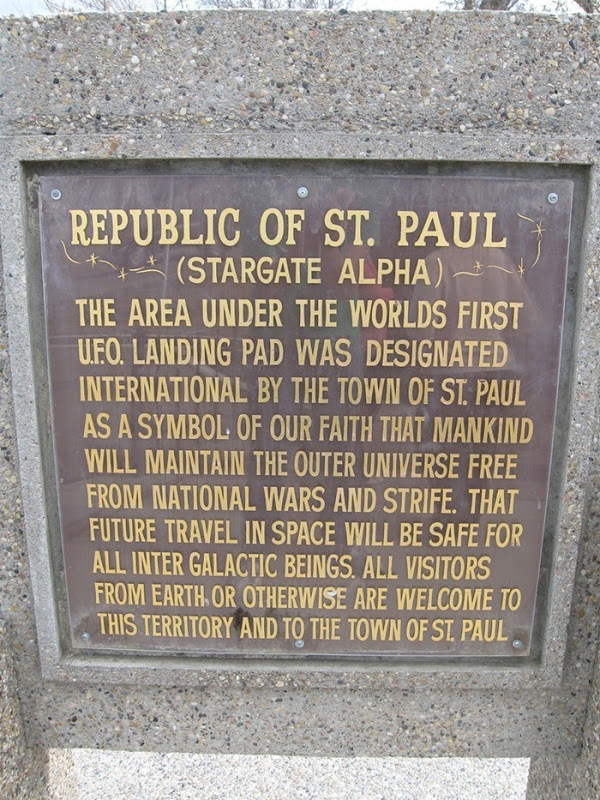 The landing pad is complimented by a full UFO Interpretive Display and tourist information centre….